Happy Rosh Hashanah. I would like to wish you all a sweet year. 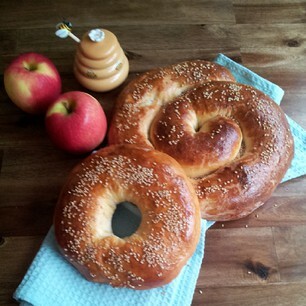 We celebrate this holiday with a round Challah, apples, and honey. This time, I baked my challah with my sweet friend, Alla. 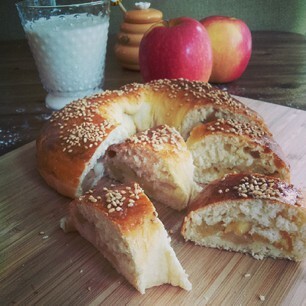 We stuffed the challah with honey-sauteed apples and sprinkled it with sesame seeds. Enjoy!